Thursday is now a First Alert Weather Day. 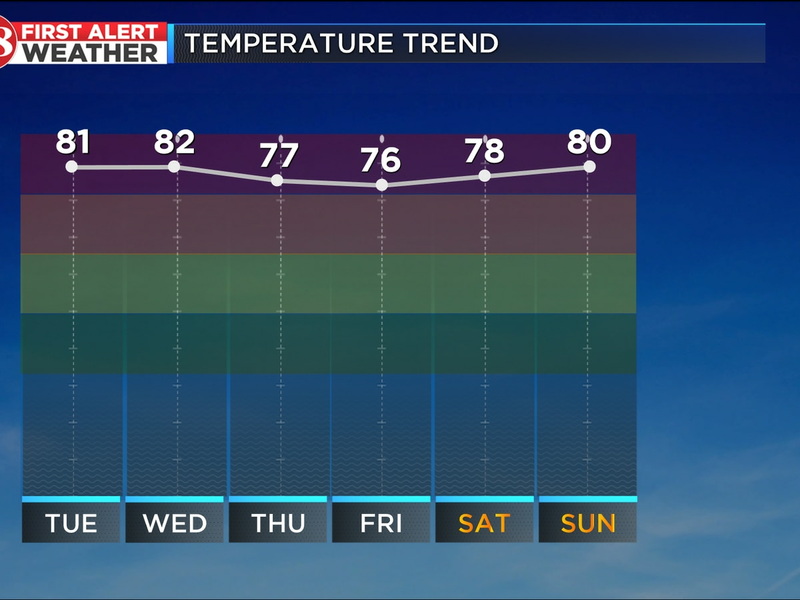 The cold front we have been tracking this week will likely move in slower than initially forecast. This means there will be plenty of time for the air to become unstable Thursday afternoon and evening. Storms will re-fire by the middle of the afternoon and into the evening hours. All forms of severe weather will be possible. A line of severe storms will track just west of the Shoals tonight. The line will track northeast into western middle Tennessee. Winds will increase across north Alabama and middle Tennessee into the overnight hours. The highest wind gusts (35-45 mph) are more likely over NW Alabama. A few morning showers and thunderstorms are possible Thursday anywhere in north Alabama and southern middle Tennessee. These storms will likely not become severe. After some early morning activity we could see a break in all rain until later in the afternoon. The threat for severe storms will arrive during the late afternoon and early evening hours. 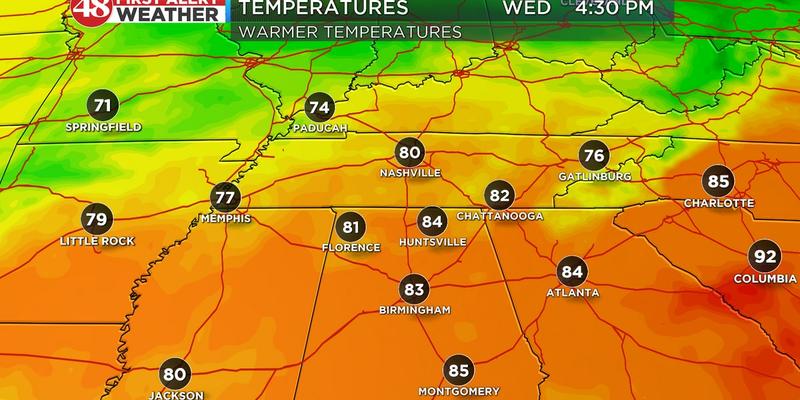 Temperatures will warm into the lower and middle 70s by 3 p.m. and the air will become increasingly unstable as the cold front moves across the area from west to east. The threat for strong to severe thunderstorms will track from west to east. The storms may actually increase in intensity as they do so. This is because the instability will continue to increase ahead of the line due to a south wind at 20-25 mph. The primary threat will be damaging winds up to 65 mph but the stronger storms could also produce: tornadoes, large hail, flash flooding and significant cloud to ground lightning. If supercell storms develop this will increase the threat for stronger tornadoes. 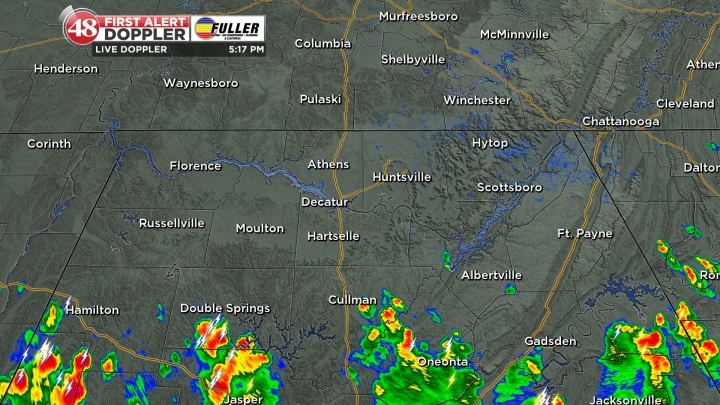 Storms will begin to exit north Alabama and cross into Georgia around 11 p.m.
Stay weather alert and keep it tuned to WAFF for the most recent updated regarding this severe weather threat. Be prepared by downloading the WAFF 48 News and Weather apps today. You can share your pictures on social media using the #WAFF48.